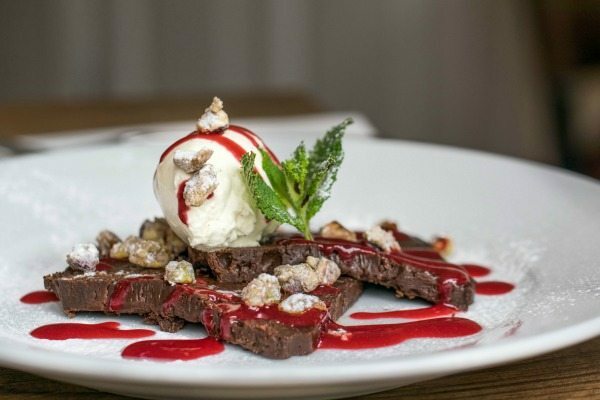 Limes of Lindfield is an elegant, small restaurant in the heart of the picturesque village of Lindfield, situated in West Sussex – forty minutes north of Brighton. 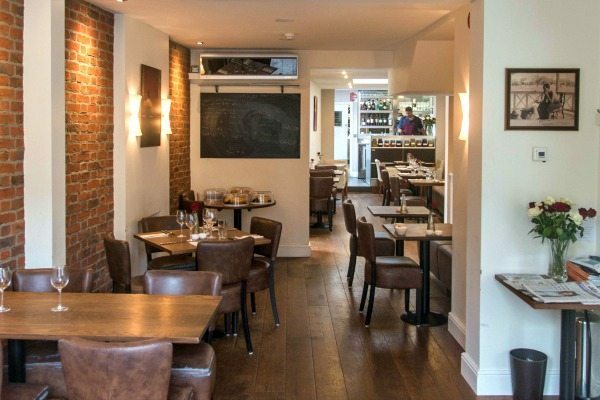 It has a relaxed and stylish feel about it and very friendly staff. 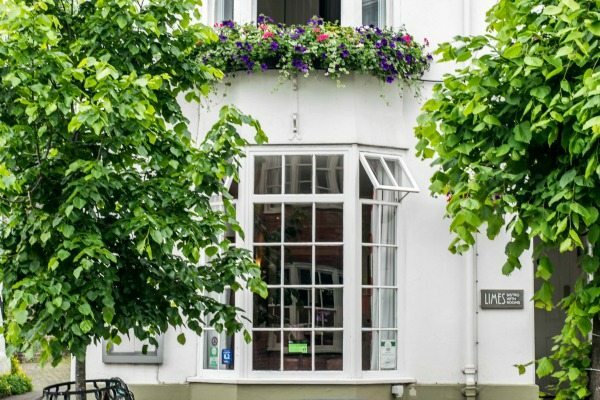 I was welcomed with a warm hello and seated at the bright bay window seat which was great for people-watching along the pretty tree-lined high street of Lindfield. We started by ordering a couple of their American-style pale ales. All the beer and ale they had to offer was locally sourced (along with most of their other alcoholic beverages). We chose one from The Long Man brewery which we didn’t regret! It was light and refreshing, perfect for a humid afternoon. The lunch menu had a couple of options for a two or three course meal at either £14.95 or £16.95. 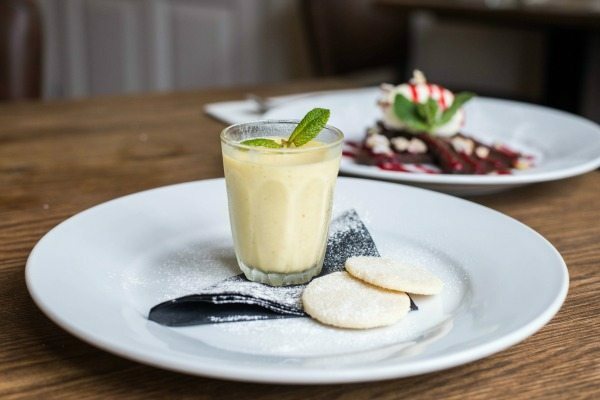 Alternatively, you could have any main course for £12.95 or choose from their ‘Quick Bites’ menu which includes homemade soup and pork belly sandwich with chips (prices from £3.50-7.50). We couldn’t turn down such a great deal so with our hungry appetites that afternoon we went for the three courses! I liked the simplicity of the menu; you aren’t bombarded with too many choices which I think shows a good sign of refinement and quality. There was a tasty choice of vegetarian options too, they have monthly Vegetarian Feast Nights so they definitely know how to cook vegetables in an innovative way. To start I decided on a lighter option, the Pear, Stilton, Walnut & Fennel Salad followed by the Butternut Squash Gnocchi with Spinach, Mascarpone & Crispy Sage. I was intrigued about the butternut squash gnocchi and whether the same dumpling texture would have been achieved when using the less starchy butternut squash opposed to white potato. My more omnivorous friend went for the Chicken Liver Parfait, Boozy Prunes & Brioche to start, followed by the Pan Fried Duck Breast & Chorizo, Vichy Carrots, Asparagus & Fresh Peas. Our waiter suggested we order sides to accompany our mains and since we were rather hungry we went for his recommendation of the Jersey Royal Potatoes with my gnocchi and Hand Cut Chips with the duck. After placing our order and having a drink of our pale ale, we were soon given a small plate each with a slice of bread and a knob of butter. 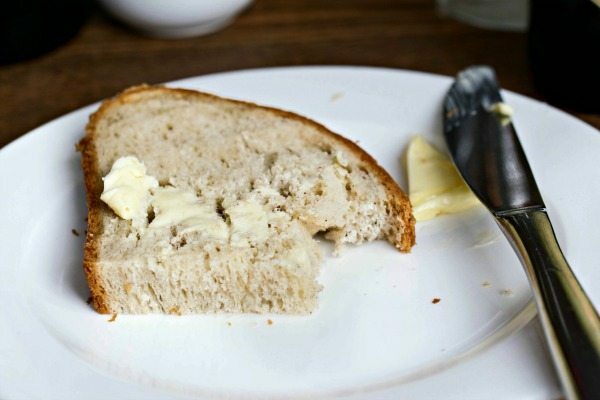 We tucked in only to realise this wasn’t any ordinary bread, this artisan slice of bread had been made with much care and attention. We were told it was made in-house and was infused with star anise and spices, and the first bite was incredible! It was still warm from the oven and so soft. The spices were subtle but enough to taste. It was almost crossing the boundaries of a sweet/savoury bake. The crust of the bread was buttery and crumbly rather than chewy and had a close resemblance to that of a croissant. After devouring our slice of bread we didn’t have to wait long for our starters to be served. The fennel salad was a delicate and colourful-looking dish, much like it was to taste. 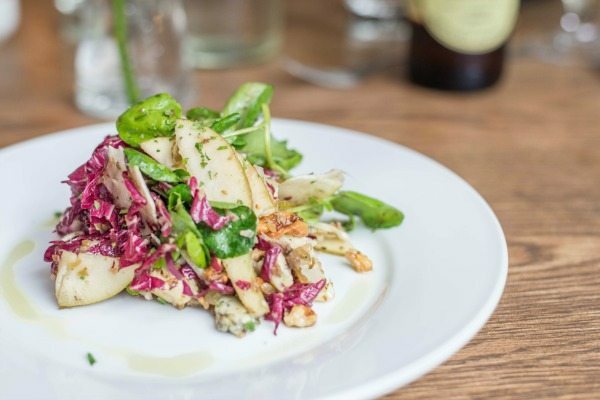 The textures and flavours all married well with the crunchy fennel having the faint taste of aniseed, then the leafy peppery watercress, salty creamy stilton, soft sweet pear, crunchy toasted walnuts and crispy red cabbage. Our tastebuds were having a lot of fun with this dish! 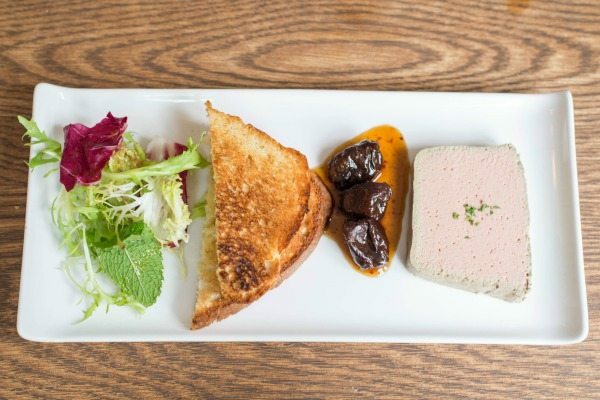 My friend’s chicken liver parfait with boozy prunes looked delicious and I was told lived up to the appearance! Following our starters we were greeted with our mains and I couldn’t wait to try the butternut squash gnocchi! 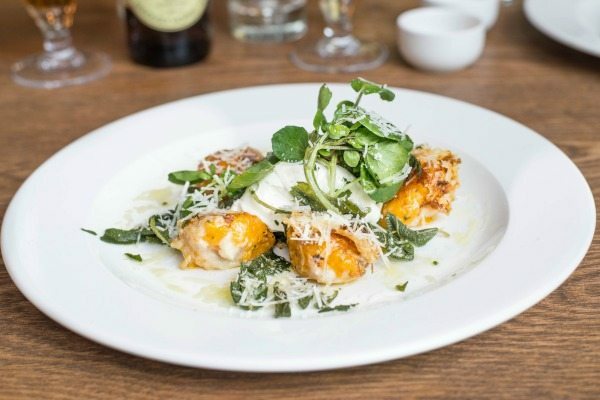 A beautiful plate of orange gnocchi was presented topped with crispy grated cheese, laying on a bed of wilted spinach and a generous dollop of mascarpone, sprinkled with crispy sage. The first bite was sweet, soft and tangy. The squash gnocchi held the right texture you would expect from a gnocchi dumpling yet gave you very different tasty flavours. The squash really lends itself well to gnocchi and contrasted with the strong grated cheese – you couldn’t go wrong! The spinach was flavoursome throughout with garlic, and I liked that the mascarpone was a dollop rather than mixed through like a sauce, because you can create so many more flavour combinations when eating the meal. 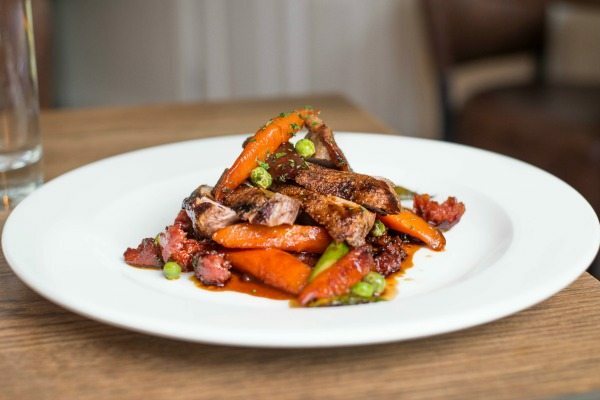 The duck looked amazing, and I had a little taste which was delicious – mouth-wateringly tender and the chorizo really brought the dish together with it’s meaty smokiness. We struggled to finish our sides of handcut chips and jersey royals but that’s not a bad thing (it’s nice to leave a restaurant satisfied)! They too were tasty, the jerseys fluffy and buttery and the giant chips were perfect for mopping up the sweet smoky sauce with the duck juices. We were pretty full by this point (a stark contrast to our arrival) but we were determined to try one of the desserts because they sounded so good. I was torn between the Lemongrass Creme Brûlée & Mixed Berries or the Orange & Vanilla Pot With In-House Shortbread. I wanted something light and refreshing and with the help of our waiter I went for the Orange Pot, which I didn’t regret one single bit. It was divine! I’m not a pudding person and don’t have much of a sweet tooth but this was heavenly! It was so light and creamy with a good punch of zingy orange-ness cutting through the mix, you could even see the orange peel residue and vanilla pod seeds in the cream. Without a doubt I’d recommend that pudding to anyone! 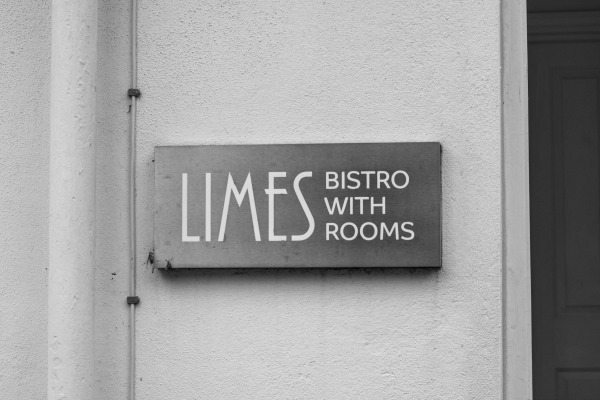 I would definitely take a drive to Lindfield again to visit Limes Restaurant, I thoroughly enjoyed every aspect of my visit there. I’d be very interested to see what they have to offer on one of their Vegetarian Feast Nights which they host every second Thursday of each month. If you don’t fancy a 2 or 3 course meal, the Quick Bites menu is perfect for a lighter lunch option.